Classes for ages 16 months to 18 Years old. And all levels of ability. 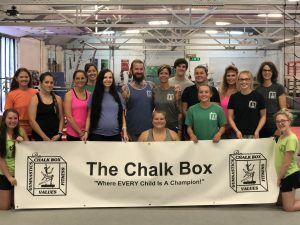 The Chalk Box Gymnastics program is not just for kids wanting to compete at a competitive level. 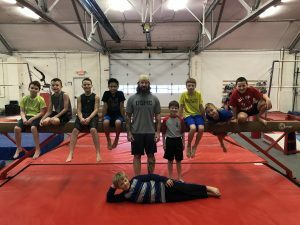 While we do offer competitive team classes based on skill level, we also offer classes that are a good way for kids to learn balance, coordination, and teamwork while getting useful exercise. All of our classes are based on core family values. 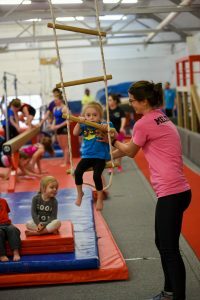 We offer classes for any age, starting as early as 16 months old with Parent-Tot, through high school age. 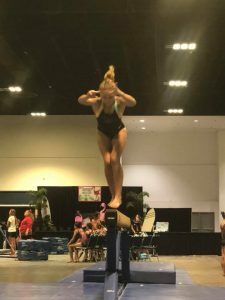 Click on the buttons below to learn more about our gymnastics programs and staff. 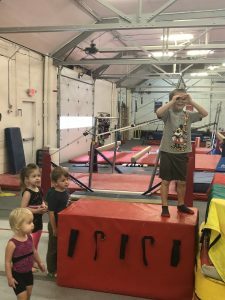 Our classes not only help teach kids gymnastics skills, but they also will help your child learn balance and coordination, plus get some really good exercise. 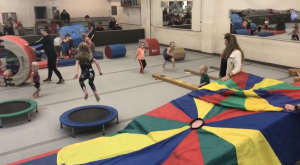 Starting at 16 months of age, we offer classes for boys and girls up to 18 years old. 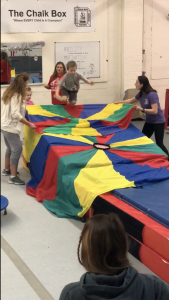 No matter what your childs skill level is we have classes to fit them. 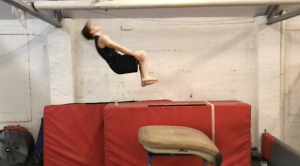 If a child shows the skills and desire, then they will be invited to join our competition team. 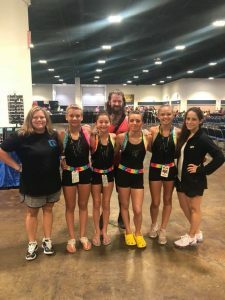 Our teams do travel through the season and have the opportunity to compete at AAU Nationals usually in June. 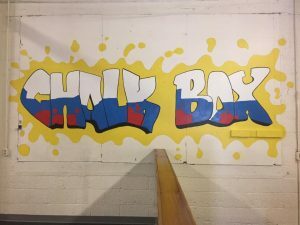 The Chalk Box is truly like a family. 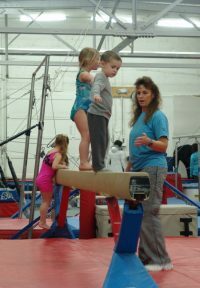 Alot of our former gymnast come back to teach.